You are browsing the archive for 2019 March 12. It was 1749, and John Winslow was about to go to sea. Any voyage was a risky, time-consuming endeavor in those days, so before he left he sat down to write an important letter. His correspondent wasn’t a loved one or even a friend: It was Edward Holyoke, president of Harvard University. “Rank in our way is looked upon as a sacred thing,” he wrote, “and it is generally allowed that the sons of New England Cambridge are placed according to the degrees of their ancestors. I have therefore put in my pretensions for my son.” He launched into a long list of his genealogy and his own accomplishments. Winslow was writing on behalf of his son, Pelham. The hope wasn’t that Pelham would get into Harvard; his son’s ability to pay tuition and his education as the son of a gentleman would have taken care of that. But Winslow knew that college was no meritocracy—and that his family’s rank would seal his son’s fate inside the university. 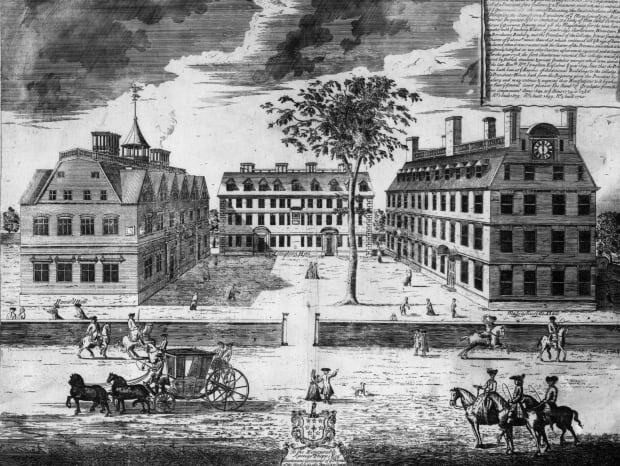 In the 17th and 18th centuries, Harvard relied on strict class rankings that weren’t based on grades, or even tuition. Rather, the school treated students differently based on the perceived social stature of their parents—rankings that colored every aspect of college life. At Harvard, the university’s president was personally responsible for the ranking, which was printed each year and posted on the school’s bulletin board. It affected everything from where students sat to the order in which they were called to recite. 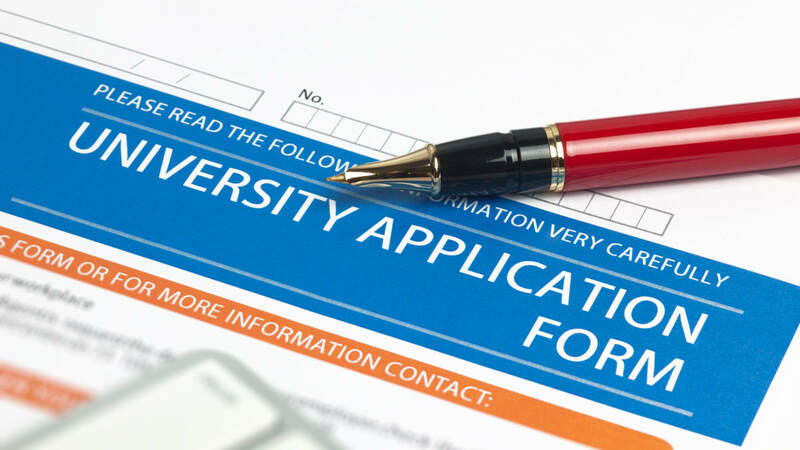 Housing decisions were made on the basis of rank, and those of a lower rank were expected to defer to their more highly ranked fellow students. Rank even determined who marched when during commencement. At the time, notes historian Joseph Kett, “an individual’s likely value to a community was an accepted foundation of social distinctions.” Everything from plots of colonial lands to seats in church were doled out based on social standing, Kett writes, and people were expected to live up to their social status. 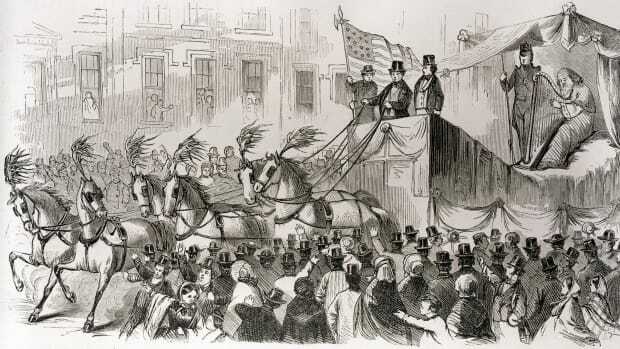 St. Patrick may be the patron saint of Ireland, but many St. Patrick’s Day traditions were born in the United States. McCormack says attitudes toward the Irish began to soften after tens of thousands of them served in the Civil War. “They went out as second-class citizens but came back as heroes,” he says. As the Irish slowly assimilated into American culture, those without Celtic blood began to join in St. Patrick’s Day celebrations. The meal that became a St. Patrick’s Day staple across the country—corned beef and cabbage—was also an American innovation. While ham and cabbage was eaten in Ireland, corned beef proved a cheaper substitute for impoverished immigrants. McCormack says corned beef became a staple of Irish-Americans living in the slums of lower Manhattan who purchased leftover provisions from ships returning from the tea trade in China. “When ships came into South Street Seaport, many women would run down to the port hoping there was leftover salted beef they could get from the ship’s cook for a penny a pound,” McCormack says. “It was the cheapest meat they could find.” The Irish would boil the beef three times—the last time with cabbage—to remove some of the brine. A St. Patricks day postcard, circa 1850. Most Americans know that George Washington owned enslaved people at his Mount Vernon home. But fewer probably know that it was his wife, Martha, who dramatically increased the enslaved population there. When they wed in 1759, George may have owned around 18 people. Martha, one of the richest women in Virginia, owned 84. 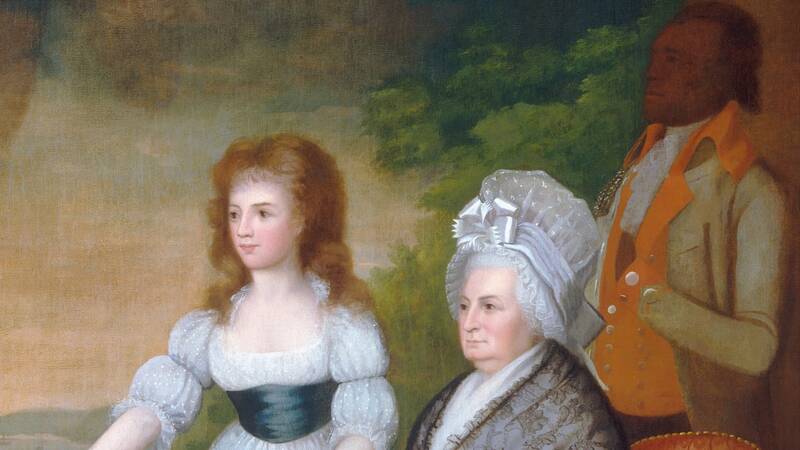 The high number of people Martha Washington owned is unusual, but the fact that she owned them is not. Stephanie E. Jones-Rogers, a history professor at the University of California-Berkeley, is compiling data on just how many white women owned slaves in the U.S.; and in the parts of the 1850 and 1860 census data she’s studied so far, white women make up about 40 percents of all slave owners. White women were active and violent participants in the slave market. They bought, sold, managed and sought the return of enslaved people, in whom they had a vested economic interest. Owning a large number of enslaved people made a woman a better marriage prospect. Once married, white women fought in courts to preserve their legal ownership over enslaved people (as opposed to their husband’s ownership), and often won. “For them, slavery was their freedom,” Jones-Rogers observes in her book. They Were Her Property upends a lot of older scholarship. For example, previous scholars have argued that most southern white women didn’t buy, sell or inflict violence on enslaved people because this was considered improper for them. But Jones-Rogers argues that white women were actually trained to participate from a very young age. An illustration of a slave auction, where both white men and women took part. “Their exposure to the slave market is not something that begins in adulthood—it begins in their homes when they’re little girls, sometimes infants, when they’re given enslaved people as gifts,” she says. Citing interviews with formerly enslaved people that the Works Progress Administration—a New Deal agency—conducted in the 1930s, Jones-Rogers shows that part of white children’s training in plantation management involved beating enslaved people. The Allied invasion of Normandy was among the largest military operations ever staged. Learn how many fighting forces took part, why it was called D-Day, stats on its planning, execution and more. 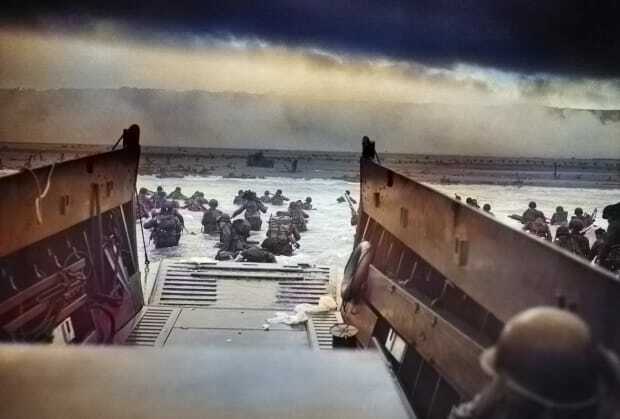 On June 6, 1944, more than 156,000 American, British and Canadian troops stormed 50 miles of Normandy’s fiercely defended beaches in northern France in an operation that proved to be a critical turning point in World War II. Without the brilliant planning and heroic sacrifices of the D-Day invasion, the Allies may have never defeated the Nazi forces in Europe. On June 6, 1944, more than 156,000 American, British and Canadian troops stormed 50 miles of Normandy’s fiercely defended beaches in northern France in an operation that proved to be a critical turning point in World War II. Below are key facts on the planning and execution of the epic Allied invasion. 1. The ‘D’ in D-Day doesn’t actually stand for anything. Unlike V-E Day (“Victory in Europe”) or V-J Day (“Victory over Japan”), the “D” in D-Day isn’t short for “departure” or “decision.” As early as World War I, the U.S. military used the term D-Day to designate the launch date of a mission. One reason was to keep the actual date out of the hands of spies; another was to serve as a placeholder until an actual date was chosen. They also used H-Hour for the specific time of the launch. 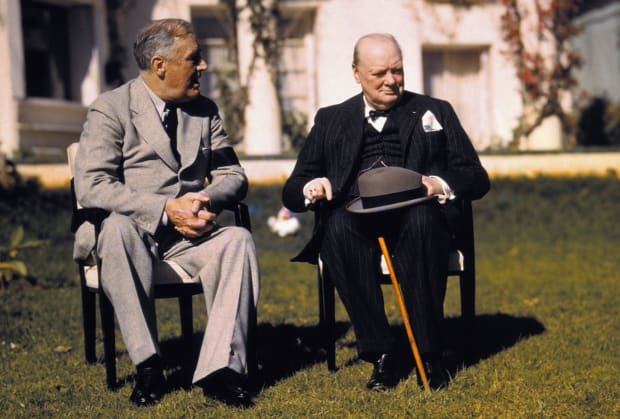 President Franklin D. Roosevelt and Prime Minister Winston Churchill orchestrated the D-Day plans. 2. The D-Day invasion took years of planning. Allied leaders Franklin Roosevelt and Winston Churchill knew from the start of the war that a massive invasion of mainland Europe would be critical to relieve pressure from the Soviet army fighting the Nazis in the east. Initially, a plan called “Operation Sledgehammer” called for an Allied invasion of ports in northwest France as early as 1943, but Roosevelt and Churchill decided to invade Northern Africa first and attack Europe’s “soft underbelly” through Italy. 3. D-Day was the largest amphibious invasion in military history. U.S. troop levels in Europe and any effort to terminate U.S.
of the agenda for the next summit. that have more extensive interests at stake should have that task. Regulations of school voucher programs can be well-intended. just-released study suggests some do. significant overall effects can be found in the figures below. the hypothetical voucher programs, on average. likely to deter private schools with higher Google review scores. reduce the average quality levels of participating private schools.